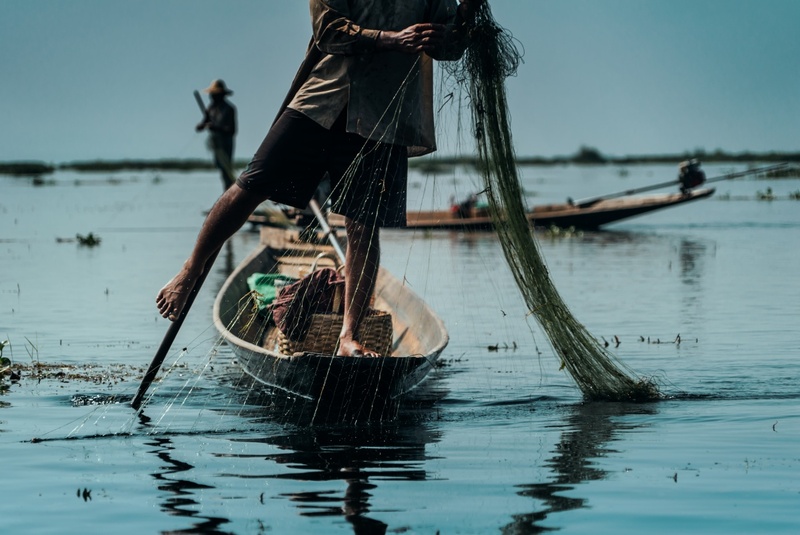 Imagine yourself rowing a boat, taking care of the fishing net and firmly keeping eye on the water for the fish while standing on one foot in the haul of an unsteady small boat. That’s everyday life for these guys working as a fishermen in Inle lake, Myanmar. Leg rowing (as they call it) has been a common practise for generations and still widely used among the fishermen. It frees ones hands to work with nets while you still can move around. I’m not 100% sure about this one but I also noticed that some men in floating villages had their rowing foot transformed into a curved shape rather than straight as normal people. And the legs were also super fit, zero fat and all muscles. As human legs should apparently. Tip: Inle lake is one of the most pleasant areas in Myanmar. It’s conveniently small and compact for a couple of days and easily accessible from Yangon. It is a bit touristy no doubt but well worth it. And doesn’t blow you budget either.